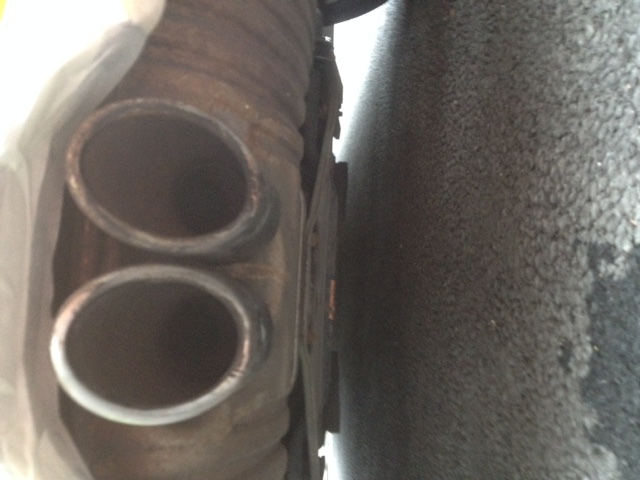 You've probably read my threads on the release catches and roof side bars not it was the exhaust tips turn. They have been in this burnt state since iv have the car (13 months) and I honestly thought the were goosed. My plane was to smooth them off and spray them gloss black but to my surprise they cam up like new. I just cleaned my chrome exhaust tip today, brake cleaner with some steel wool and it looks like new. What did you use?